In the recent news, it is heard that Ghandhara Nissan Limited is all set to make its appearance in the automotive industry with the launch of the world famous heavy commercial vehicles from Renault in Pakistan. They have made this decision to meet the demands of the local market in Pakistan. 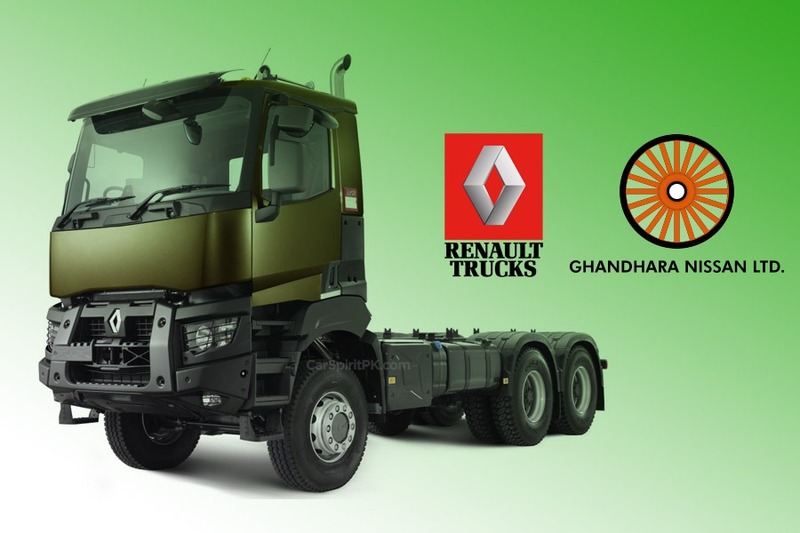 GHNL (Ghandhara Nissan Limited) has signed an agreement with the France popular truck manufacturer known as Renault to import heavy commercial vehicles in Pakistan. Ghandhara Nissan will now not be assembling trucks in Pakistan but will import completely built-up-units of the heavy commercial vehicles initially. They have already imported a few units of Renault trucks for trial and testing purposes to assess their viability and demand of such types of commercial vehicles in Pakistan. Currently, the country is witnessing extravagant development in different sectors, which is why the scope of such imported trucks will surely be able to gain a repute in the local market. Though, Ghandhara Nissan Limited (GHNL) should consider the assembly of trucks once it gets tested and according to the demands of the local market. There is also a huge rise seen in the imports of commercial vehicles of different popular brands. The assembly of commercial vehicles in Pakistan is not only possible but it can also become a viable option as many brands are already engaging in this automotive sector.